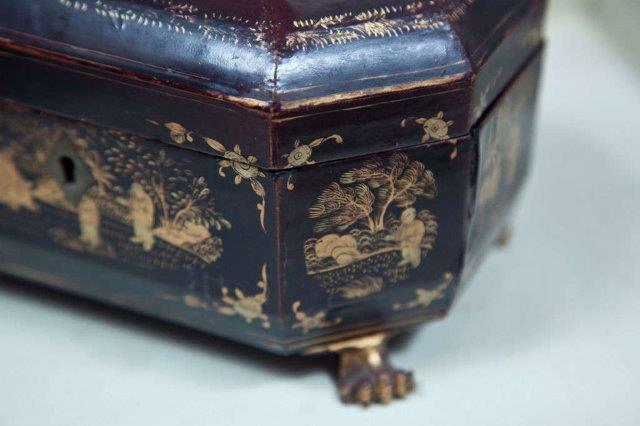 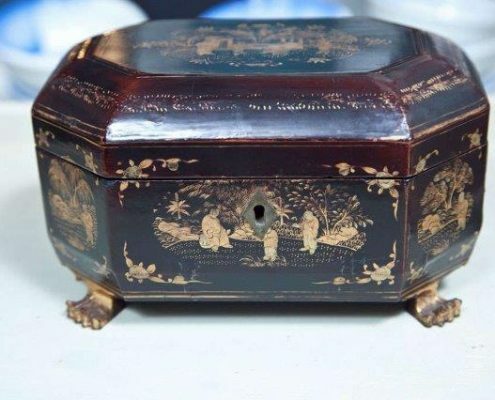 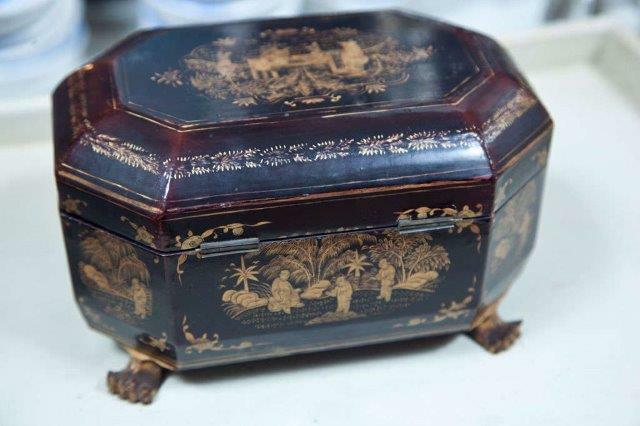 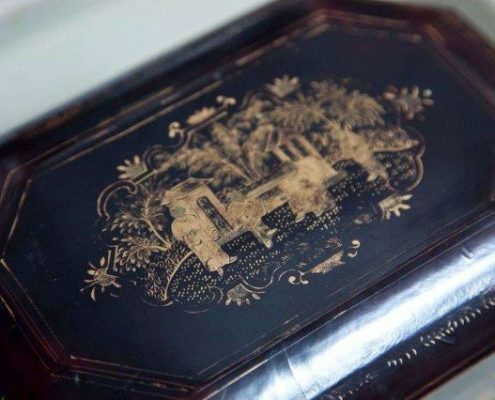 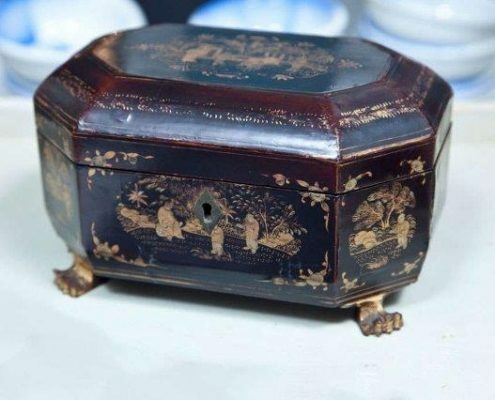 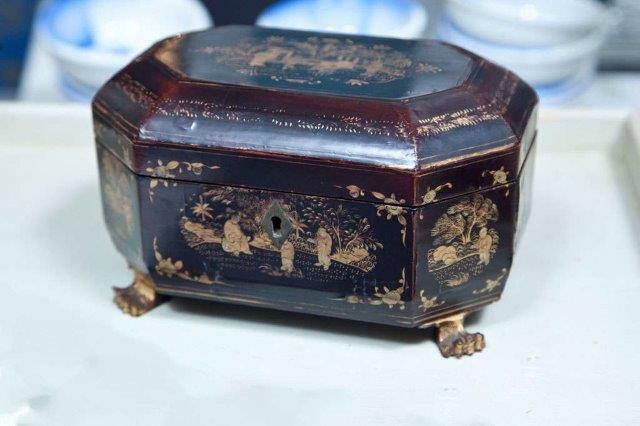 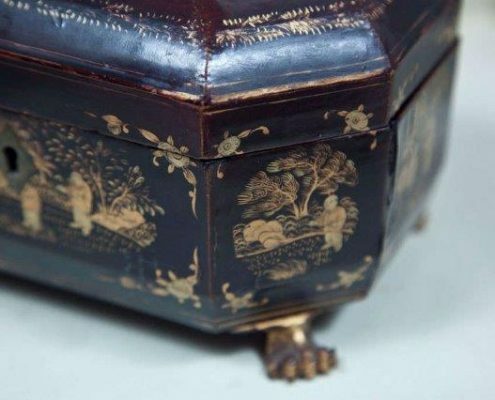 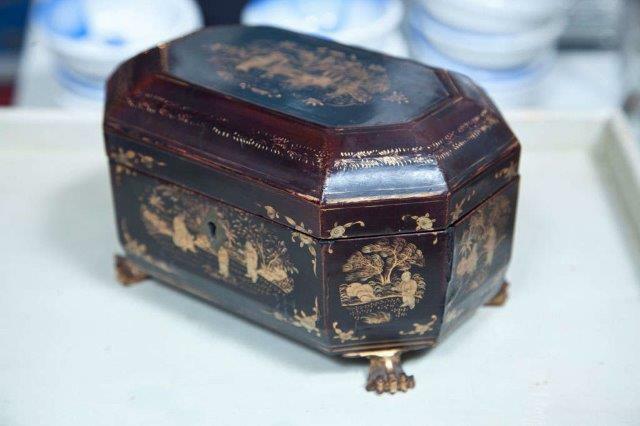 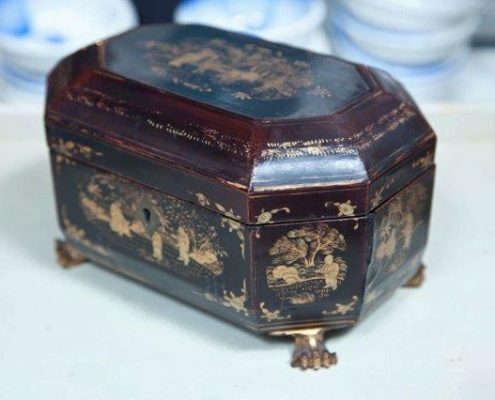 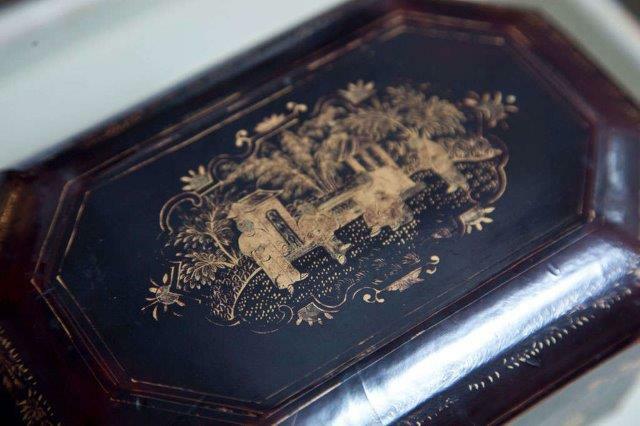 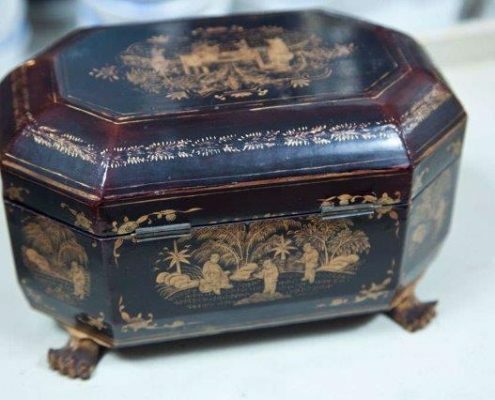 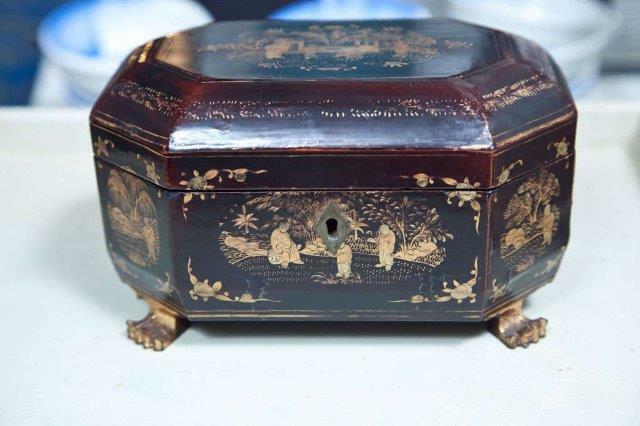 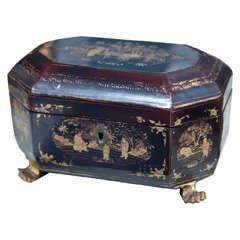 The burgundy / brown lacquer is decorated with gold depicting figures and buildings in a landscape. 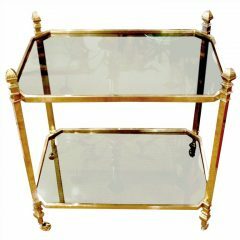 The caddy stands on four carved wooden feet in the shape of claws. 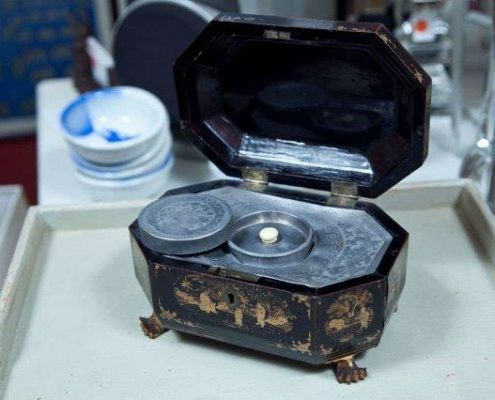 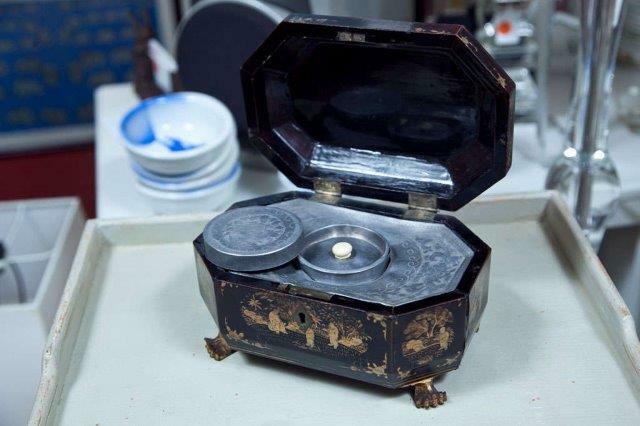 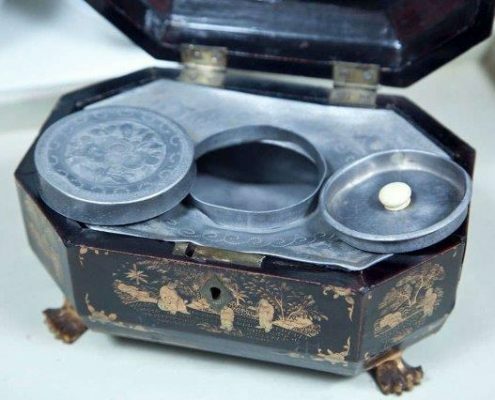 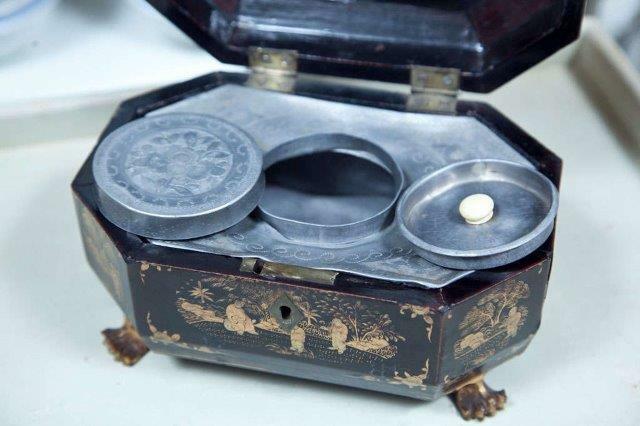 The interior contains a single pewter canister insert with round raised lids.